Mum smiles at me more and plays with me. I sleep in a nice clean cot. I was referred to this program by Child protection. I was really afraid that my child would be taken away from me. I said I would work with them but didn't think that I could stick it out for 12 months without mucking up. I met the team and we worked on my plan, so that when I had problems with some of my parenting stuff I had a parenting specialist from the team come and work with me. It was great because the team all work together you don't have to tell your story every time you meet a new worker and they were all there for 12 months. It made a difference to me and my baby is at home with me.I have recommended this to another mum that I met because it was so great. Working in a multidisciplinary team with specialist services has allowed us to provide a much more seamless service to our clients There is one family plan and goals that link into the plan. Staff meet regularly with all the service providers and families to ensure that needs are being appropriately met. Referal to other services is able to be expedited by the use of brokerage and avoiding long waits for service. Staff are well supported with education and debriefing. Children remain safely in their parents care. Stronger Families is an intensive family coaching and support service. Its focus is to develop and support families so more children can grow up in their home. The aim is to prevent first time out-of-home care placements and/or to quickly reunify children with their parents who have come into care for the first time. It tries to secure improvements in the opportunities for children, and young people in care. The service is offered to families with children aged less than 2, or between 10-12 years, and Aboriginal children. It is a well-resourced program that provides therapeutic assessments, individualised family action plans and flexible supports using a home visiting model for up to 12 months. 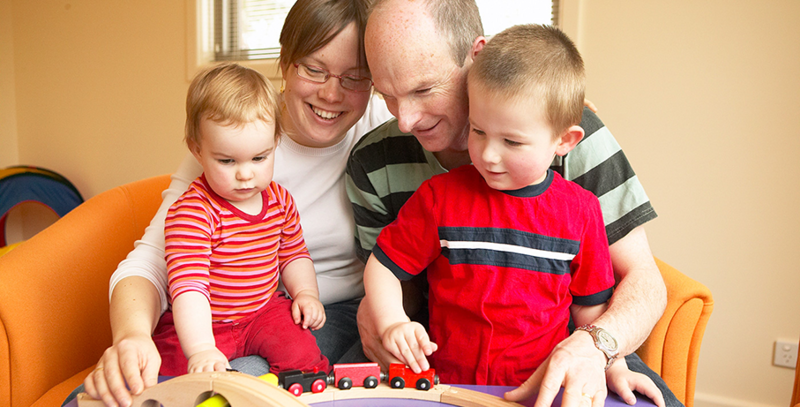 Families are given a case manager and specialist services are provided in a flexible way. QEC works closely in partnership with 2 lead agencies. In the Northern program, the lead agency is Kildonan whereas in the Southern program, the lead agency is Connections. Take Two Berry Street also works in partnership with these programs. In the Southern Metropolitan Region, Connections staff will work closely with the family and you may also meet staff from QEC, Take Two or Finding Solutions (these agencies are different in each region). Generally families are visited by QEC staff twice a week, in their own home and are offered parenting support and education tailored to their needs. From a QEC point of view, staff will work with parents to establish which area of their parenting they would like to develop. How can I be referred to the Southern Metropolitan Region Stronger Families program? The Child protection worker will refer into Connections if the Stronger Families program is appropriate for a family. QEC staff then work in collaboration with Connections staff once the family is accepted. You cannot be referred into this program through QEC. What areas does the Southern Metropolitan Region Stronger families program cover? Families living in Casey, Cardinia or Dandenong area are eligible for the program. Why would a family be referred to the Stronger Families program? A family will be referred by Chid Protection staff if the family is at immediate risk of having their child removed from their care, or they have just had their child placed back in their care following an out of home care placement. The family will be involved with Connections for 12 months and may work with QEC, Take Two or Finding Solutions at any time throughout this 12 months, dependent on the families needs.